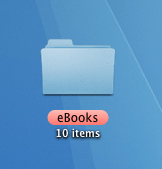 Labels allow you to organise your files and folders in the Finder by colour-coding their icons. To label a file or folder by a colour in the Finder, just right-click (or Crtl-click) on it and select a Label. If you want to remove the label, click the “x” in the Label section of the right-click menu. You can change the default Label names to something more meaningful and searchable by setting the label names in Finder Preferences. 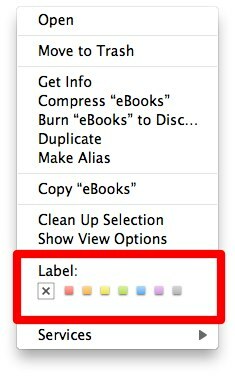 Navigate to Finder > Preferences > Labels. 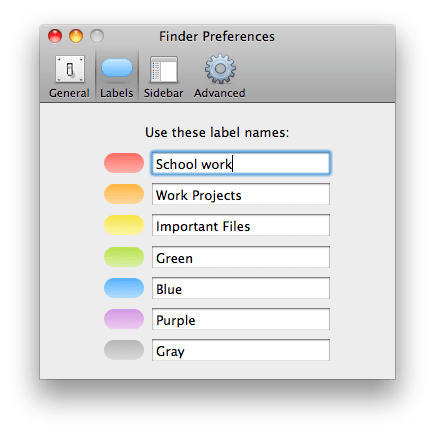 For further advice on the use of Labels in combination with Saved Searches have a look at these tips on Mac OS X Tips or Mac Life.